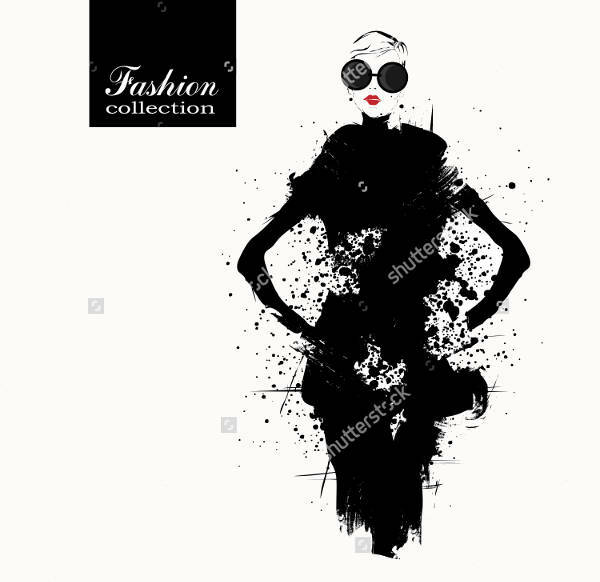 Are you an aspiring fashion designer? 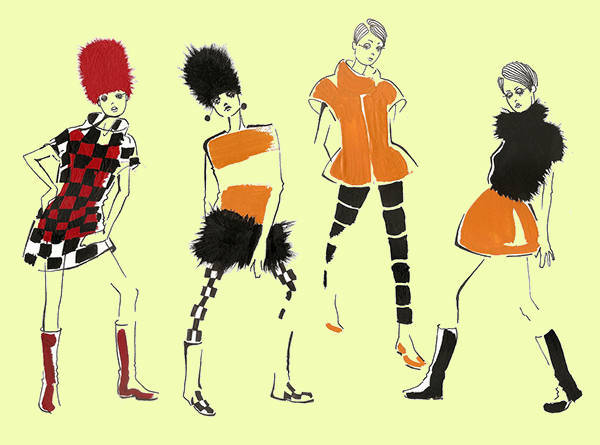 Unsure of how a Fashion illustration should be presented? 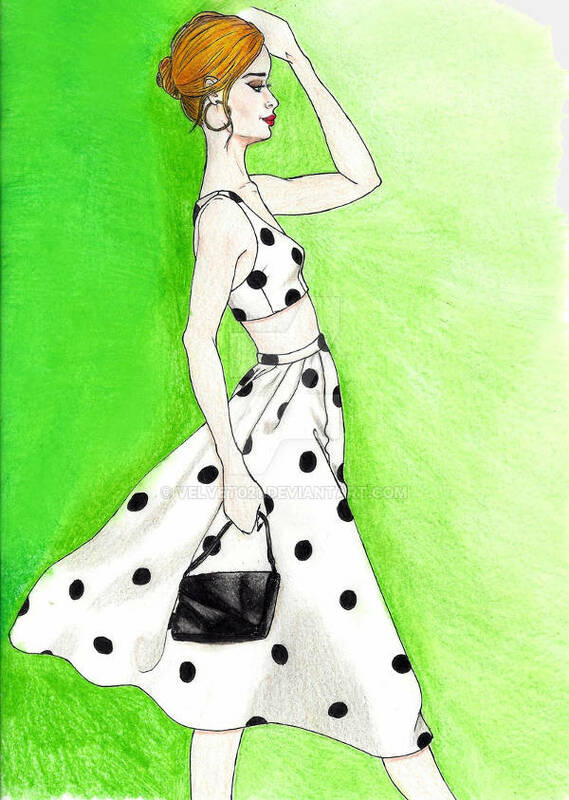 Worry no more as we have got these inspirational Fashion Illustrations for you. They will give you an understanding of how fashion can be presented for school, work or business. It pays to put out a good illustration to easily communicate the specific details to your clients or team. Do not leave without viewing and downloading the variety of illustrations we have just for you. The list is composed of different types of illustrations. All downloadable and viewed in readable formats for different platforms, such as PC and smartphones. For other types of illustration, check out our Camera Illustration, as well. Paper, pen and coloring materials are the common tools a designer must always have in their bags or table. It is to prepare them for whatever idea might come to mind especially during travels, where the usual inspiration sets in. However, with today’s advancements in technology, it’s much easier and convenient to search for inspiration as they are all provided on the internet– name it, and it’s just a one search engine away. Designers usually start out with sketching with pen and paper first and then scanning or transferring the idea in a graphic version to simply put emphasis on the colors and intricate details that might not be too clear on paper. Along the process of practicing how to sketch, you will be able to develop your own style. 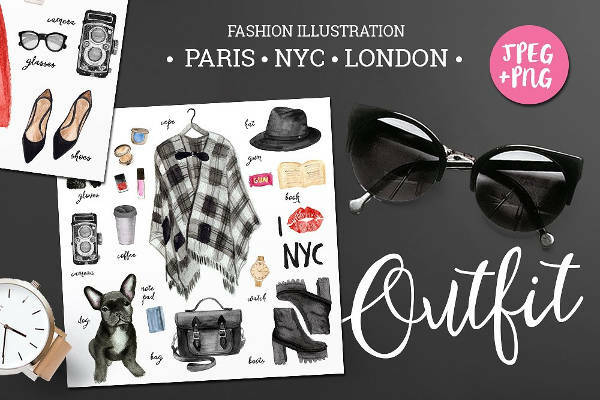 Illustrating your design can be done in various ways, such as with the traditional pen and paper or graphic 2D and 3D illustration, using a design software like Photoshop, Coreldraw and so much more. 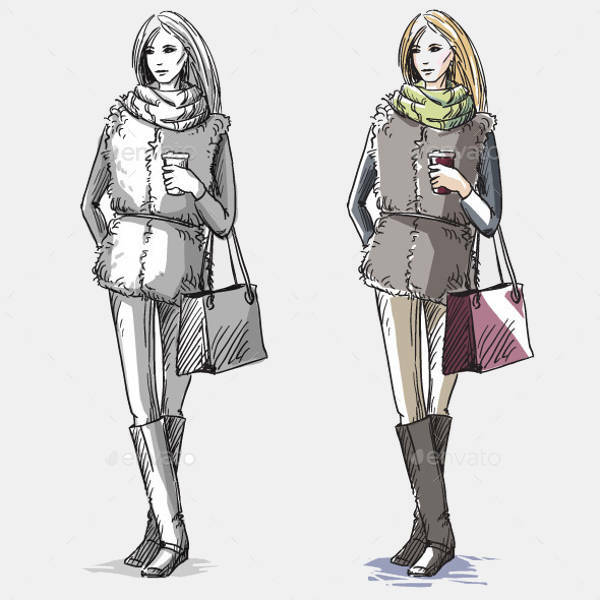 You can focus first on learning how to sketch body proportions to textile designs such as with Rose Illustration which will be more developed on the succeeding lessons. Take it one step at a time and you’ll surely be an expert to a point that an eraser is no longer necessary. Designs can be done in the modern fashion or the “digital” way. 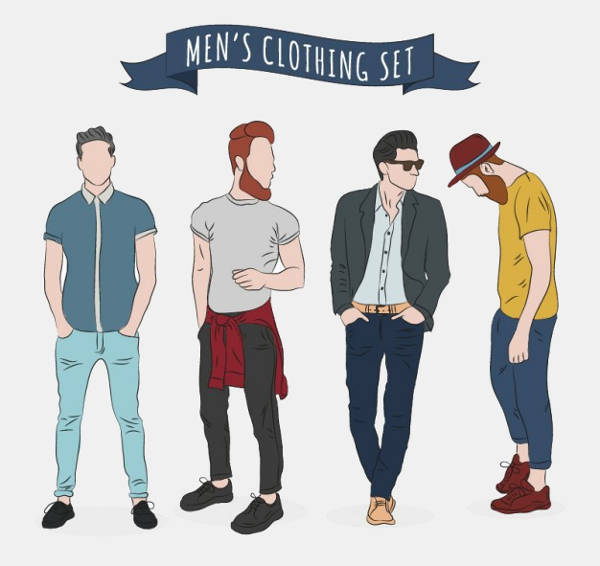 Some examples of these are that of Men’s Fashion Illustration, 3D Fashion Illustration, Fashion Girl Sketchy Illustration, and Fashion Poses Illustration. 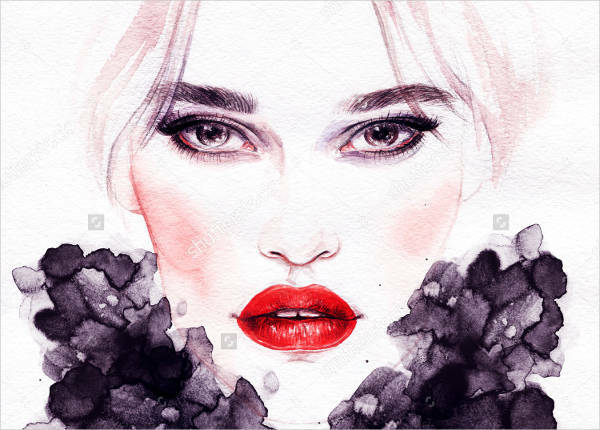 If you are fond of using a Watercolor or Colored Pencils, get inspiration from Vintage Fashion Illustration, Fashion Outfit Illustration, Fashion Winter Illustration or Hand Painted Fashion Illustration. 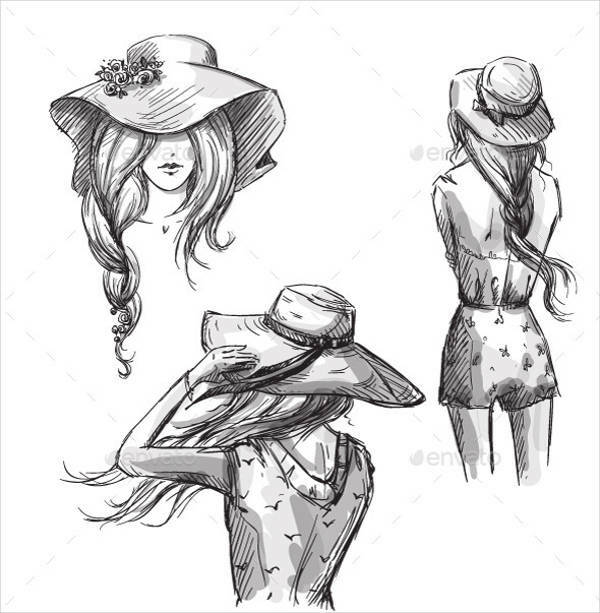 Looking through a designer’s illustration is a great idea to inspire you with your own clear and artistic handwork. At least, that’s where most designers started off. It is a communicable tool to relay your vision to a client, especially to the non-creatives. It helps improve one’s eye for detail. 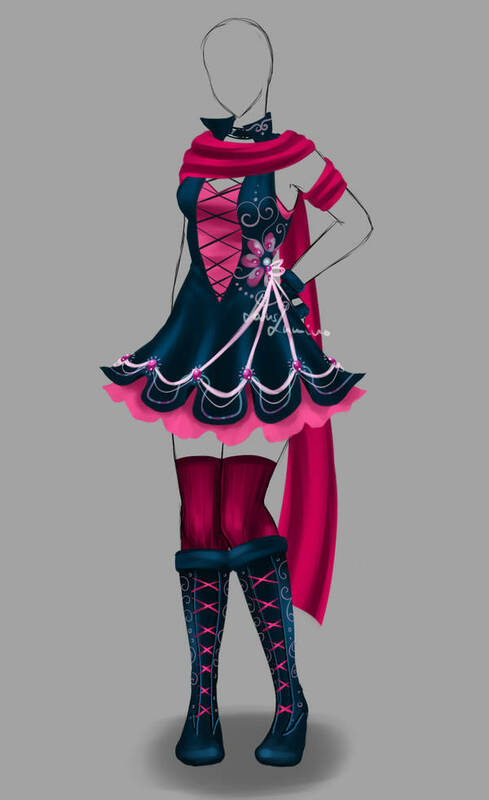 It helps to develop taste in fashion design. The images we’ve showcased are the most common type of illustrations, other types include Kid’s Illustrations. 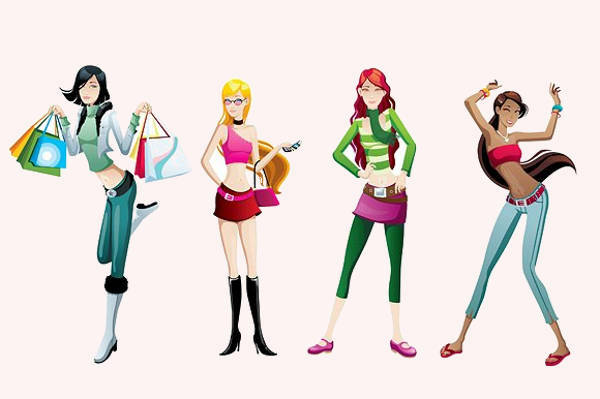 View on that and get inspired on how to illustrate kid’s body proportions. Start downloading now, and keep those sketches going!